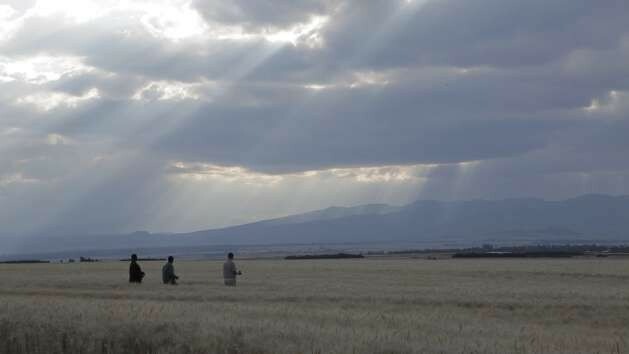 Farmers in Ethiopia. Photo: WG Film. STOCKHOLM, Apr 3 2017 - Sales of huge land areas of Ethiopia, by the Ethiopian government, to foreign investors, have led to starvation and forced displacement. 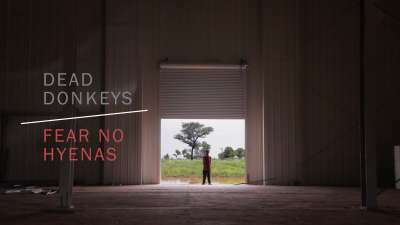 In his documentary Dead Donkeys Fear no Hyenas, Swedish film director Joakim Demmer exposes the consequences of land grabbing, and holds the World Bank complicit. The chase for this Green Gold started over ten years ago. Just before the global financial crisis, agricultural land areas in developing countries became a target for investment among global investors. Joakim Demmer experienced at first hand at the Addis Abeba airport how emergency food supplies was being unloaded while local food produce was being loaded for export. ”It was so odd. I started reading up on the subject and became aware of the extent foreign investors were striking deals all over the country. Pursuing this land grabbing story took him to a local journalist covering environmental issues at an early stage, who directed his attention to the Gambela National Park. Together they discovered that investors Saudi Star Agricultural Development had begun the development of a rice farm. In order to make the sale to investors, the Ethiopian government displaced the local population. Conditions for following the story were difficult. That is why the documentary was a full seven years in the making. During the documentary process, Swedish journalists Martin Schibbye and Johan Persson were imprisoned in Ethiopia. Joakim Demmer continued to film, below the radar of the Ethiopian regime. "The women are hit the hardest. 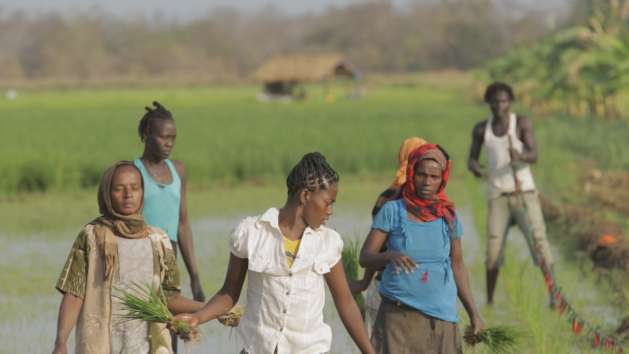 Men can possibly seek jobs in the cities, which women can not"
Ethiopia is dependent on emergency food aid, which goes to approximately three million Ethiopians. The World Bank has supported the Ethipian development program ”Protection of Basic Services” PBS with billions of dollars. In his film, Joakim Demmer shows a measure of complicity on the side of the World Bank, supporting the mechanisms that promote land grabbing. ”In many parts of Ethipoia the development program has worked, but in several regions, the Ethiopian regime uses these available resources to displace people by restricting funding to new settlements only. New villages that serve as a kind of alibi for the Ethiopian government”. The Saudi Star rice farm is part of the Midroc Glocal Group corporation, which is owned by the Saudi Mohammed Al-Amoudi. The Swedish subsidiary Midroc Europe was involved in developing the farm for a few years. ”I have tried to get in touch with them, but they do not want to discuss their clients”, Joakim Demmer adds. After the opening of the film, there has been official comment from Midroc Europe that challenges the accusation of land-grabbing. In an interview with the news journal ”Omvärlden”, managing director of Midroc Europe Roger Wikström considers the relations with local inhabitants as collaborative and refutes the way the documentary portrays their activities and its consequences. In the documentary, testimony of violence, rapes and betrayal come from several witnesses. Local Anuks were manipulated with lavish but unfulfilled promises. Demmer explains that the local inhabitants now are not just dependent on food aid, but furthermore that their cultural identity is dying as they no longer have access to the lands of their history. ”The women are hit the hardest. Men can possibly seek jobs in the cities, which women can not”. I remember reading about this when Pastor Omot Agwa was featured by ICIJ. He was translator for World Bank, arranged interviews between Inspection Panel and Anuak. He was charged with terrorism two years ago. I’m not sure he has a trial date yet.